It’s a New York Day! I’m back! And what a week it was in New York city. Lots of shopping, eating, and walking around the city. My husband even completed the New York half marathon. We had a really great trip to my favorite city. I have lots of fun things to share with you this week from my trip. 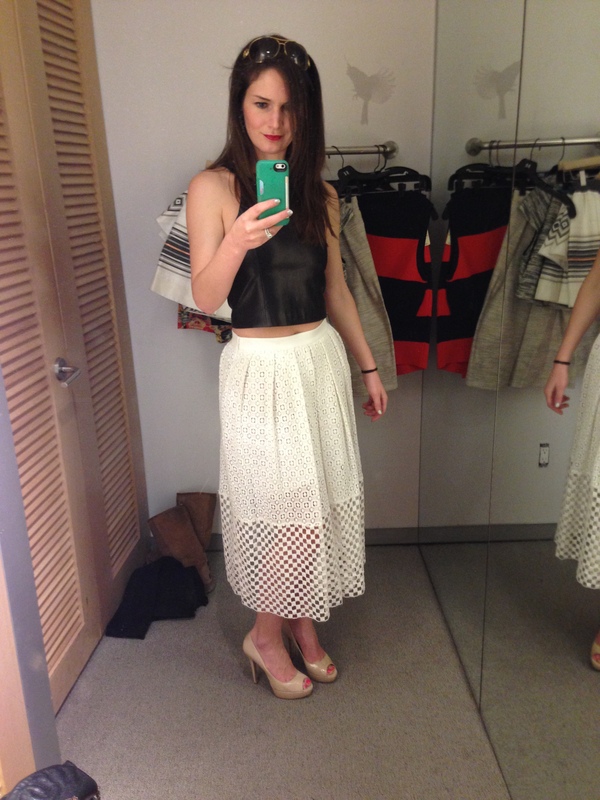 The first day we got to New York my hunt began to find the crop top. Everywhere you look from stores to magazines is the crop top with a skirt or pants. I wasn’t sure about this look for me. I mean, I am in my thirties…am I to old for this look? So after running all over Bergdorf’s I decided the heck with it. I’m going to try this fad out! And I really do love it. You don’t have to expose all of your tummy. Believe me, I didn’t! What do you think? This is an Alice & Olivia top with a Tibi skirt. Below you will find another alternative that is much more affordable. Click on pic to get it!